Our great pride and joy is to see my clients happy with my service. We take customer service to the next level!! This Broomfield two-story offers a fireplace and a two-car garage. Upgraded features include fresh interior and exterior paint, and new carpet. Home comes with a 30-day buyback guarantee. Terms and conditions apply. 4 bedrooms, 2.5 baths home with finished basement and huge backyard. Sold off market. Helped list my home and negotiate sell. Helped me purchase a new home and knew a lot about the housing market. Took me to several locations and gave honest feedback about the condition of the homes we looked at. Bought a Single Family home in 2017 for approximately $300K in Aurora Highlands, Aurora, CO.
Great Agent! very quick to responding to all my questions. very knowledgeable . very trusting woman. I will use her for every one of my purchases. Ana was a pleasure to have as my real estate agent. She never left any questions unanswered and always responded promptly. I would highly recommend her as you will receive the best service any agent can provide. Bought a Condo home in 2016 for approximately $200K in Rocky Ridge, Aurora, CO. If your looking for someone honest I suggest to you all to Ana Duran she is Great Agent! very quick to responding to all my questions. very knowledgeable . very trusting woman. I will use her for every one of my purchases! give her a call, don;t wait another day nor minute, your dreams will finally come true, I give this realtor five stars. 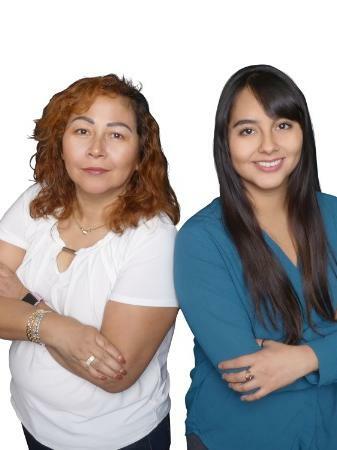 Sold a Townhouse home in 2016 for approximately $475K in Berkeley, Denver, CO.
Ana helped us sell our home in Denver Colorado. She is very professional and very knowledgeable. What I liked about her is that she is so easy to work with. She does not pressure you and she is always available to answer any questions you may have during the process. Sold a Single Family home in 2013 in Morrison, CO. Sends custom lists daily for houses within desired area and price range. She is extremely knowledgeable, easy to work with and has excellent negotiation skills. As first time home buyers, she took the time to explain the whole process to us beforehand, so we knew exactly what to expect. Definitely check her out! Bought a Condo home in 2015 for approximately $100K in Centennial Park, Englewood, CO.